Evo General Discuss any generalized technical Evo related topics that may not fit into the other forums. Please do not post tech and rumor threads here. for local BSP competition, working on your driving and the proper tires will imporve your times much more than any weight reduction can. Take out your CD player def. All your carpet. Strip your trunk . Also I dont think the rs has the ACD.. you should just buy a RS. You cant drive the 6sp. daily without these things. its will prove to be a challenge. Also I dont think the rs has the ACD.. The IX RS definitely has ACD, along with the factory 3 gauge cluster with boost readout under the hvac controls. Everyone asks me if that gauge cluster is aftermarket and they look at me funny when I tell them it's from the factory. Last edited by sleeper3; Aug 6, 2009 at 06:22 AM. 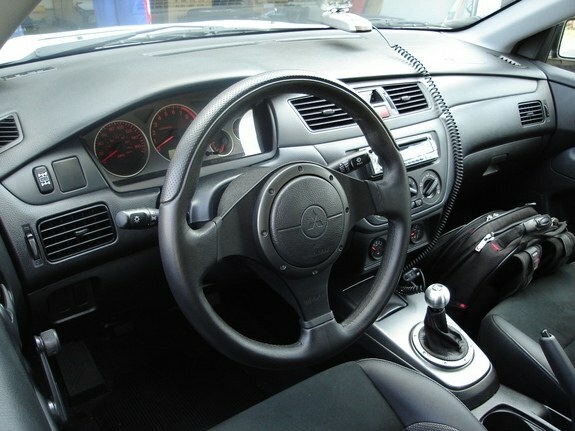 5-speed gearbox will also save you wait and give you more accurate gear changes. 03-06 EVO RS not have tweeters? Getting some sound into my RS, Please Help! Sun, Sound, and Leather Package POLL!! !